The weather is starting to cool off a little which means we need to farewell bare baby feet and switch to socks – or the softest of teeniest tiniest shoes. And while we’re there, how about a matching pair for big brother or sister too! 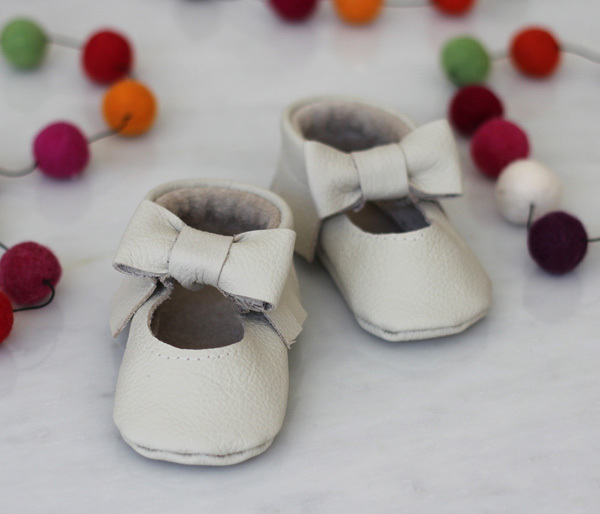 Hubble and Duke showcase a collection of the most dapper tiny shoes, all made from leather and bound to suit every romper suit getting around. Using the softest of genuine leather, these shoes are buttery soft against small (and bigger) feet, protecting them from the elements but without the weight of a traditional shoe. A hard wearing leather sole makes for great tread and an elastic opening cradles the heel and softly hugs your child’s foot for a good fit. 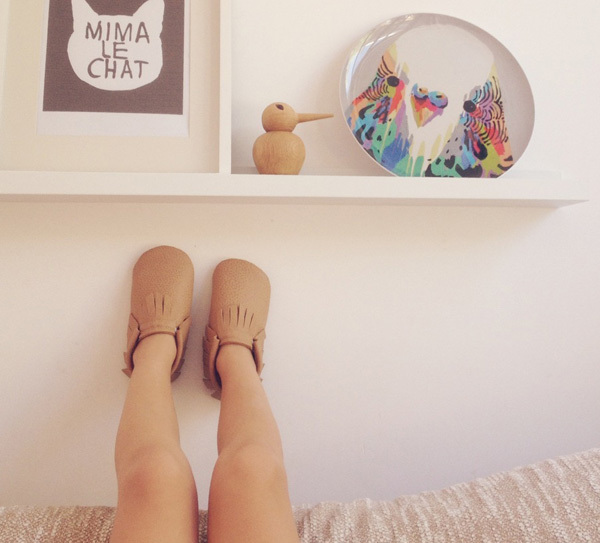 Be it a pair of unisex moccasins, such as the beaut Soft Camel Moccasin (pictured above, priced $45) or a pair of the super sweet, bow topped Mary Jane Moccasin (priced from $45), Hubble and Duke will have those tiny toes covered in style. Shoes are made to fit the newest of feet from 0-3 months, up to those of a four-year-old, depending on your chosen style. To see all that’s available, head on over to Hubble and Duke.